Jobs In Bahria Adventure Land 2018 in Bahria Town Karachi is announced. The advertisement for Jobs In Bahria Adventure Land 2018 in Bahria Town Karachi is come on today newspaper Jung. Bahria town is one of the best leaving place in Karachi and Pakistan by Bahria Town Group. 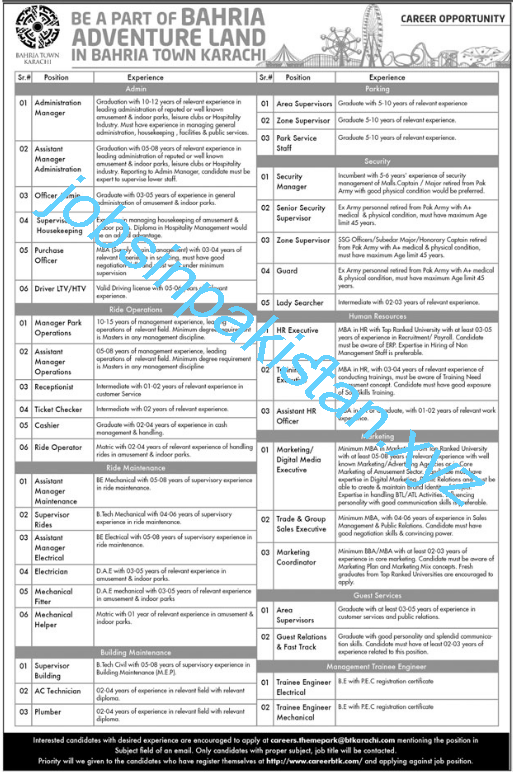 The Advertisement and all related Information for Bahria Adventure Land Jobs 2018 is given below.